Whether Court can allow recalling of Witness after Case is closed for Judgment ? Before :- R.M. Savant, J. Writ Petition No.7688 of 2013. D/d. 18.02.2015. For the Petitioner :- Mr. S.M. Oak i/by Mr. Sagar Joshi, Advocate. For the Respondent Nos. 1(a) to 1(c) :- Mr. Ibrahim Merchant i/by Kvaiyar and Associates. For the Respondent Nos. 2(d) and 2(e) :- Mr. Abdul Latif N. Khatri, Advocate. For the Respondent Nos. 9 to 15 :- Mr. V.N. Bodke i/by M/s. Chitnis Vaithy & Co.
For the Respondent (other appears) :- None. R.M. Savant, J. (Oral) :- Rule, with the consent of the learned counsel for the parties made returnable forthwith and heard. 2. The writ jurisdiction of this Court is invoked against the order dated 2/8/2013 passed by the learned Judge of the City Civil Court, Greater Bombay by which order the Application being Notice of Motion No.2461 of 2013 filed by the Petitioner/Plaintiff for recalling of its witness and tendering additional affidavit of examination in chief, for leading evidence in terms of Section 16(c) of the Specific Relief Act, 1963 came to be rejected. 3. Shorn of unnecessary details, a few facts, which are necessary for the adjudication of the above Petition, can be stated thus:- The Petitioner herein is the original Plaintiff and the Respondents herein are the original Defendants in the suit which was initially filed in this Court being H C Suit No.2526 of 1988. The said suit was filed for specific performance of 4 agreements dated 13/2/1975 in respect of 4 pieces of land which were agreed to be sold to the Plaintiff. The Plaintiff is a Cooperative Housing Society of the employees of one Mukund Iron. It seems that the Plaintiff had also purchased other plots of land from the Defendants. The Defendants, it seems had conveyed the other plots of land which were purchased but in spite of having been called upon to do so had failed to execute the conveyance deeds in respect of the 4 plots of land covered by the agreements dated 13/2/1975. The Plaintiff was therefore constrained to file the suit in question for specific performance. 4. In the context of the challenge raised in the present Petition, it is required to be noted that in Paragraph 14 of the plaint, the Plaintiff has referred to the letters by which the Plaintiff had called upon the Defendants to execute the conveyance and it has been averred that the Plaintiffs have shown their readiness and willingness to pay the balance of the purchase price viz. L 7,67,250/but the Defendants on one pretext or the other have failed and neglected to come forward to execute the conveyance in respect of the said remaining area particularly the lands covered by the 4 agreements. The said paragraph is followed by paragraphs 15 and 16 in which paragraphs the Plaintiff has further reiterated its case in respect of its readiness and willingness. "Issue No.4 : Whether the Plaintiffs prove that they were always ready and willing and are still ready and willing to perform their part of the agreements? It is thereafter that the Commissioner came to be appointed for recording of evidence by a learned Single Judge of this Court. The affidavit of evidence was filed by the Plaintiff on 13/1/2010 along with the compilation of documents. The documents were numbered on 29/4/2011 whilst the suit was pending in this Court. The Commissioner thereafter recorded the evidence and the 3 sets of Defendants being Defendant Nos.1(A) to 1(C), Defendant Nos.5 to 15, and the Defendant Nos.2(D) and 2(E) have cross examined the Plaintiff's witness which cross examination covered the aspect of the readiness and willingness of the Plaintiff. 6. The suit came to be transferred to the City Civil Court, Greater Bombay in October 2012 on the pecuniary jurisdiction of the City Civil Court being enhanced. The Plaintiff closed its evidence on 21/6/2013. The Defendants did not lead any evidence and accordingly closed their evidence. The suit is therefore at the stage where the arguments are to be heard. However, on 29/6/2013 an application came to be filed by the Defendant Nos.2(c) and 2(d) for directions to be issued to the Plaintiff to produce the documents which have been mentioned in paragraph 14 of the plaint. The said documents relate to the readiness and willingness of the Plaintiff. The said application came to be rejected by the Trial Court by an order passed on the same day on the ground that the said application could not be allowed and if the Plaintiff fails to produce the documents mentioned in paragraph 14 of the plaint, then adverse inference would be drawn against the Plaintiff. It is thereafter that the instant Notice of Motion being No.2461 of 2013 came to be filed by the Plaintiff for the reliefs which have been adverted to in the earlier part of this order. In the affidavit in support of the Motion the ground stated therein is that due to inadvertence the averments relating to the documents in support of the case of readiness and willingness were not made in the affidavit in examination in chief filed by the Plaintiff. Hence leave of the Court was sought for recalling of the Plaintiff's witness and for permission to file additional affidavit of examination in chief of the Plaintiff's witness. 7. The said application was opposed to on behalf of the Defendant Nos.1(A) to 1(C) by filing affidavit in reply of one Dr. Nitin Vasant Patil. The objection was on the ground of delay as also on the ground that though the documents have been mentioned in the plaint, the Plaintiff has not produced the same, and therefore, the Trial Court has passed an order on the application filed by the Defendant Nos.2 (c) and 2(d) for adverse inference being drawn against the Plaintiff. It is on the said ground that the Notice of Motion was opposed to on behalf of the said Defendant Nos.1A to 1C. 8. The Trial Court considered the said Application being Notice of Motion No.2461 of 2013 and as indicated above by the impugned order rejected the same. The gist of the reasoning of the Trial Court is that since the application is referable to Order 18, Rule 17 of the Code of Civil Procedure, and since the evidence of the Plaintiff is complete, the Application could not be allowed as the same would amount to filling up the lacuna in the evidence of the Plaintiff. The Trial Court has relied upon the judgment of the Apex Court reported in (2009) 4 SCC 410 in the matter of Vadiraj Naggappa Vernekar (Dead) Through LRs v. Sharadchandra Prabhakar Gogate. The Trial Court observed that the provisions of Order 18, Rule 17 of the Code of Civil Procedure can be invoked only for the purpose of clarifying the material that has been placed on record in order to reach a proper conclusion and could not be invoked to fill up the lacuna in the evidence. The Trial Court accordingly by the impugned order dated 2/8/2013 has rejected the said application being Notice of Motion No.2461 of 2013. As indicated above it is the said order dated 2/8/2013 which is taken exception to by way of the above Writ Petition. 9. Heard the learned counsel for the parties. The learned counsel appearing on behalf of the Petitioner Shri S M Oak would contend that in terms of the law laid down by the Apex Court in Vernekar's case (supra) as also the judgment of the Apex Court reported in (2011) 11 SCC 275 in the matter of K. K. Velusamy v. N Palansamy, the Trial Court is not powerless in allowing the application for recalling of the witness and for permitting the Plaintiff to adduce additional evidence if interest of justice so requires. The learned counsel for the Petitioner would contend that in the instant case the plaint ex facie discloses that the averments relating to the readiness and willingness have already been made and therefore this is not a case where the Plaintiff is seeking permission to lead evidence in respect of the readiness and willingness in the absence of pleadings. The learned counsel would contend that it is through inadvertence or mistake that the averments relating to the documents to buttress the case of the Plaintiff as regards the readiness and willingness remained to be incorporated in the affidavit of examination in chief. The learned counsel in support of this contention would placed reliance on the judgment of the Apex Court in Velusamy's case (supra) and would contend that the paramount consideration has to be the interest of justice. The learned counsel would contend that grave prejudice would be caused to the Plaintiff, if the Application is not allowed as in the absence of the said evidence grave prejudice would be caused to the Plaintiff. The learned counsel would draw the Court's attention to the fact that pursuant to the agreements to sale and the power of attorney executed by the Defendants, 15 buildings have been constructed in the mid eighties wherein the members of the society are residing, the buildings are constructed on the lands which have been conveyed as also the lands covered by the agreements in respect of which specific performance is sought as all the plots have been amalgamated. 10. Per contra, the learned counsel appearing on behalf of the Respondent Nos.1(a) to 1(c) Shri Merchant would contend that the Plaintiff having been cross examined extensively by the Defendants even on the aspect of readiness and willingness cannot be now permitted to lead additional evidence as the same would amount to Plaintiff being permitted to lead evidence to fill up the lacuna which is there in the evidence. The learned counsel drew this Court's attention to the cross examination of the Plaintiff's witness which was conducted before the Court Commissioner on the aspect of readiness and willingness. The learned counsel would contend that though the Apex Court has held that in the interest of justice the course of action of recalling the witness can be permitted. The facts of the case before the Apex Court in Vernekar's case (supra) are identical to the facts of the present case and therefore the Apex Court in the said case having refused to permit additional evidence from being led, the same analogy would have to be applied to the Plaintiff in the instant case as in the instant case the Plaintiff was very well aware of the material which it had to place on record in respect of the case of the readiness and willingness and having not done so, the Plaintiff now cannot be permitted to adduce additional evidence and bring the said documents on record. The learned counsel sought to distinguish the judgment of the Apex Court in Velusamy's case (supra) on the basis of the fact that in Velusamy's case (supra) the facts in respect of which the permission to file additional affidavit of evidence was sought was in respect of the events which had taken place post the filing of the suit and in fact just before the arguments had commenced. Such is not the case in the instant matter, according to the learned counsel and therefore invocation of Order 18, Rule 17 of the Code of Civil Procedure or Section 151 of the Code of Civil Procedure cannot be permitted. 11. The learned counsel appearing on behalf of the Respondent Nos.9 to 15 Shri Bodke would support the submissions made by the learned counsel for the Respondent Nos. 1(a) to 1(c) Shri Merchant, however, in addition would contend that the instant Notice of Motion was filed after the application filed by the Defendant No.2 (c) and 2(d) was rejected by the Trial Court and is therefore an afterthought. The learned counsel would contend that having regard to the evidence which had come on record on behalf of the Plaintiff, that the Defendants did not choose to lead any evidence. 12 The learned counsel appearing on behalf of the Respondent Nos.2 (d) and 2(e) Shri Khatri would also support the submissions made by the learned counsel for the Respondent Nos.1(a) to 1(c) Shri Merchant, however, in addition would contend that the delay and laches in filing the Notice of Motion has not been properly explained by the Plaintiff, and therefore, this Court would not permit the Plaintiff to invoke Order 18, Rule 17 of the Code of Civil Procedure or Section 151 of the Code of Civil Procedure. 13 Having heard the learned counsel for the parties, I have considered the rival contentions. The question that is posed in the above Petition is whether the Plaintiff should be allowed to lead additional evidence and thereby reopen its evidence. To answer the said question the facts which have been narrated herein above would have to be revisited. As indicated above, the suit in question has been filed for specific performance of 4 agreements dated 13/2/1975 in respect of the 4 plots of land. It appears that the owners had also agreed to sell other plot of lands to the Plaintiff's society, save and except the 4 lands which are the subject matter of the 4 agreements of which specific performance is sought, the other lands have been conveyed to the Plaintiff society. It is also required to be noted that pursuant to the agreements to sale and the power of attorney executed by the owners the Plaintiff society has constructed 15 buildings for its members, which members as mentioned herein above are belonging to the company known as Mukund Iron. It seems that the said construction was carried out after the amalgamation of all the plots. The said buildings have been constructed in the early eighties and are presently in occupation of the Plaintiff's members. In so far as the agreements in question are concerned, as indicated herein above, in paragraphs 14 to 16 the Plaintiff has pleaded its case of readiness and willingness to perform its part of the agreements and has also pleaded the refusal of the Defendants to abide by the terms and conditions of the agreements. The Plaintiff has also referred to the documents in support of the said case which find place in paragraph 14 of the plaint. No doubt the affidavit of evidence of the witness of the Plaintiff was filed wherein the evidence in respect of the case of the readiness and willingness of the Plaintiff remained to be incorporated. The witness of the Plaintiff has been cross examined also on the aspect of readiness and willingness. The fact that the Defendants have chosen to cross examine the Plaintiff's witness on the aspect of readiness and willingness shows that the parties were knowing as to in respect of what matters they were litigating. The anxiety of the Defendants can also be seen from the fact that the Defendant Nos. 2(c) and 2(d) had filed the application for a direction to be issued to the Plaintiff to produce the documents which are mentioned in paragraph 14. The Trial Court has rejected the said application by holding that such a direction could not be issued and if the Plaintiff does not produce the said documents then adverse inference can be drawn against the Plaintiff. It is thereafter that the instant Notice of Motion came to be filed for the relief which has been adverted to herein above. In so far as Order 18, Rule 17 of the Code of Civil Procedure is concerned, the same has been the subject matter of interpretation from time to time. The Apex Court in Vernekar's case (supra) was also concerned with the application made by the Plaintiff in the said case for being permitted to lead additional evidence. The Apex Court in the facts of the said case had come to a conclusion that the person who had filed the affidavit of evidence was knowing the facts right from the beginning and therefore did not permit the Plaintiffs in the said case to adduce the additional evidence as the Apex Court was of the view that granting permission in the said case would amount to the Plaintiffs being permitted to fill up the lacuna in the evidence. (b) As the provisions of the Code are not exhaustive, section 151 recognizes and confirms that if the Code does not expressly or impliedly cover any particular procedural aspect, the inherent power can be used to deal with such situation or aspect, if the ends of justice warrant it. The breadth of such power is coextensive with the need to exercise such power on the facts and circumstances. 14. The amended provisions of the Code contemplate and expect a trial court to hear the arguments immediately after the completion of evidence and then proceed to judgment. Therefore, it was unnecessary to have an express provision for reopening the evidence to examine a fresh witness or for recalling any witness for further examination. But if there is a time gap between the completion of evidence and hearing of the arguments, for whatsoever reason, and if in that interregnum, a party comes across some evidence which he could not lay his hands earlier, or some evidence in regard to the conduct or action of the other party comes into existence, the court may in exercise of its inherent power under section 151 of the Code, permit the production of such evidence if it is relevant and necessary in the interest of justice, subject to such terms as the court may deem fit to impose. 15. The learned counsel for respondent contended that once arguments are commenced, there could be no reopening of evidence or recalling of any witness. This contention is raised by extending the convention that once arguments are concluded and the case is reserved for judgment, the court will not entertain any interlocutory application for any kind of relief. The need for the court to act in a manner to achieve the ends of justice (subject to the need to comply with the law) does not end when arguments are heard and judgment is reserved. If there is abuse of the process of the court, or if interests of justice require the court to do something or take note of something, the discretion to do those things does not disappear merely because the arguments are heard, either fully or partly. The convention that no application should be entertained once the trial or hearing is concluded and the case is reserved for judgment is a sound rule, but not a straitjacket formula. There can always be exceptions in exceptional or extraordinary circumstances, to meet the ends of justice and to prevent abuse of process of court, subject to the limitation recognised with reference to exercise of power under section 151 of the Code. Be that as it may. In this case, the applications were made before the conclusion of the arguments. 19. We may add a word of caution. The power under section 151 or Order 18, Rule 17 of the Code is not intended to be used routinely, merely for the asking. 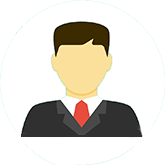 If so used, it will defeat the very purpose of various amendments to the Code to expedite trials. But where the application is found to be bonafide and where the additional evidence, oral or documentary, will assist the court to clarify the evidence on the issues and will assist in rendering justice, and the court is satisfied that non-production earlier was for valid and sufficient reasons, the court may exercise its discretion to recall the witnesses or permit the fresh evidence. But if it does so, it should ensure that the process does not become a protracting tactic. The court should firstly award appropriate costs to the other party to compensate for the delay. Secondly the court should take up and complete the case within a fixed time schedule so that the delay is avoided. Thirdly if the application is found to be mischievous, or frivolous, or to cover up negligence or lacunae, it should be rejected with heavy costs." (1) The Plaintiff to file the additional affidavit of evidence only in respect of the aspect of its readiness and willingness latest by 17/03/2015 when the suit in question is to come up before the Trial Court. (2) The Defendants would be entitled to cross examine the Plaintiff's witness and lead rebuttal evidence if they so deem it appropriate. (3) The contentions of the parties on merits are kept open for being agitated before the Trial Court at the hearing of the suit. (4) Allowing the instant Writ Petition should not be construed as any expression of opinion on the merits of the suit. The suit would undoubtedly be tried on its own merits and in accordance with law. (5) In the facts and circumstances of the present case, the Plaintiff to pay costs of L 5000/to each set of Defendants represented by the learned counsel Shri Ibrahim Merchant, Shri Abdul Khatri and Shri V N Bodke. The same to be done on or before 17/03/2015. (6) The above Writ Petition is allowed to the aforesaid extent. Rule is accordingly made absolute with parties to bear their respective costs of the Petition. (7) The learned counsel appearing on behalf of the Respondent Nos.1(a) to 1(c) Shri Merchant seeks stay of the instant order. In view of the fact that the Plaintiff has been granted time up to 17/03/2015, the said prayer is rejected. 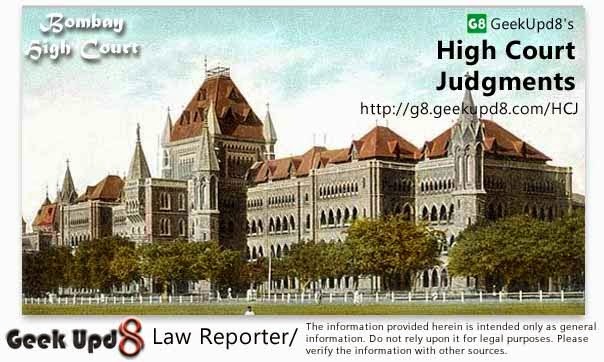 Geek Upd8 - Law Reporter: Whether Court can allow recalling of Witness after Case is closed for Judgment ? Constitution of India, 1950 Article 226 Civil Procedure Code, Order 18, Rule 17 - Specific Relief Act, 1963 Section 16(c) Suit for specific performance - Rejection of notice of motion seeking recalling of its witnesses and to tender additional affidavit - Challenged - Held, defendants had conveyed other lands to plaintiff except suit lands - Buildings were standing on said land since eighties - If application is not allowed, then grave prejudice would be caused to plaintiff - Defendants would be obviously entitled to cross-examine plaintiffs witness in respect of additional evidence - Further, delay in filing said application can be compensated by costs - Thus, plaintiff directed to file additional affidavit of evidence only in respect of aspect of its readiness and willingness - Impugned order - Petition allowed - (2011)11 SCC 275, relied on.